Dan Ardelean of Mobile Development blog has managed to unlock the full experience in the pre-released ROM of Windows Phone OS 7.0 which shipped earlier this week with the development tools for Windows Phone 7 Series. The original ROM as released by Microsoft only allowed access to the web browser (Internet Explorer) and “Settings” but with this hacked .BIN file, you can get access to entire Windows Phone 7 Series experience that Microsoft didn’t want you to see. Simply follow the steps posted below to get it working on your Windows PC. 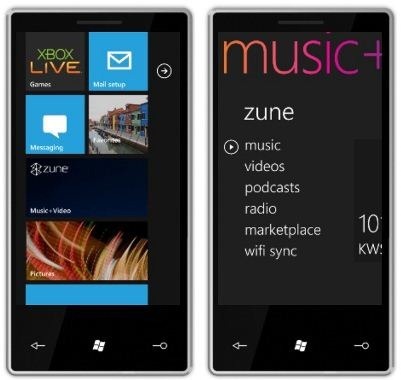 Step 1: Download and install the developer tools for Windows Phone 7 Series. Step 2: Download and install Windows SDK for Windows 7 and .NET Framework 3.5 SP1. Step 3: Download the hacked .BIN file for Windows Phone OS 7.0 Build 7.0.0.6077 emulator image from XDA-Developers here. the Windows SDK for Windows 7 and .NET Framework 3.5 SP1 link says… We are sorry, the page you requested cannot be found. and then what do we run? But when i try to run my app on the full fledged emulator it gives me an error that says “specified communication resource (port) is already in use by another application.” and quits.